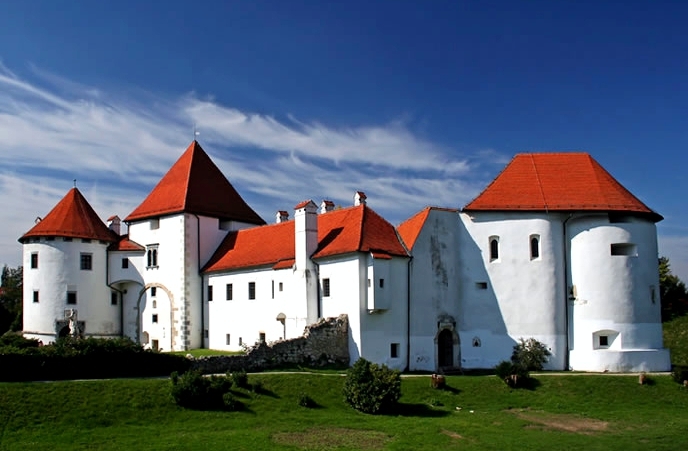 Located in the north of Croatia, this lovely city will enchant you with its baroque architecture, wonderful castle in the Old Town and festivals such as Špancirfest (late August – early September) or Varaždin Baroque Evenings (late September – early October). 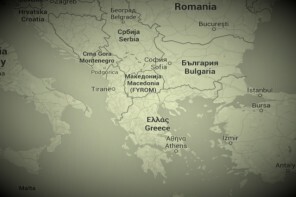 Croatia’s capital is located on the Sava river, beneath Medvednica mountain. Characterized by its Austro-Hungarian architecture, a lot of parks and charming streets, it manages to attract tourists from all over the world. 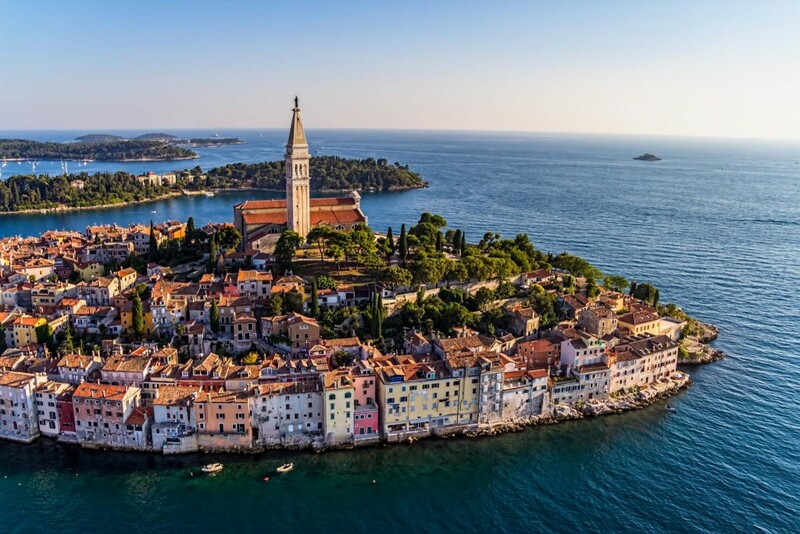 As it is the capital and the largest city in Croatia, I suggest you spend more than just a day here, and give yourself the opportunity to fall in love with its historical Upper Town, colorful downtown and the relaxing culture of sitting in cafes and tiny restaurants for hours. Renting a bike might be a good idea – you can cover most of the city sights by biking. 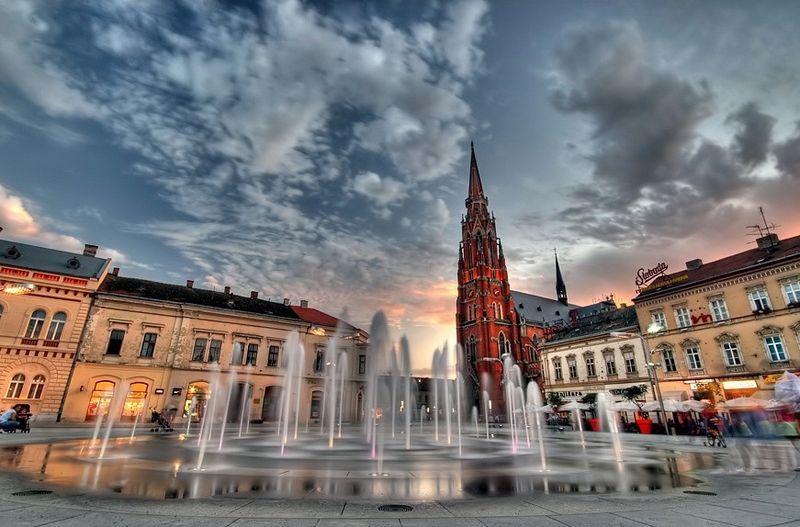 If you’re headed east and want to explore Slavonia (the eastern part of Croatia), Osijek is definitely worth seeing. The baroque architecture, the 18th century citadel and the zoological garden will keep you busy for at least a day, but if you’re interested in exploring the surroundings I suggest you pay a visit to Kopački Rit – a nature park which is one of the most attractive preserved wetlands in Europe. 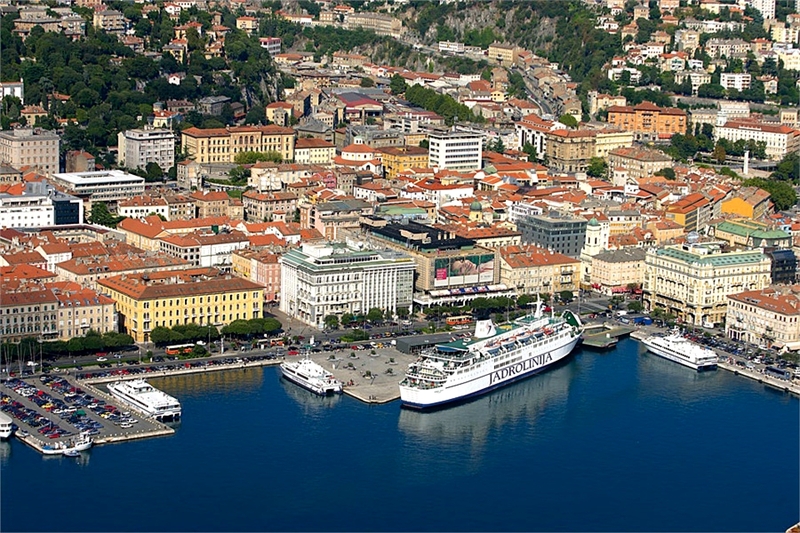 If you’ve decided to go south from Zagreb and hit the coast, Rijeka is definitely a must see. 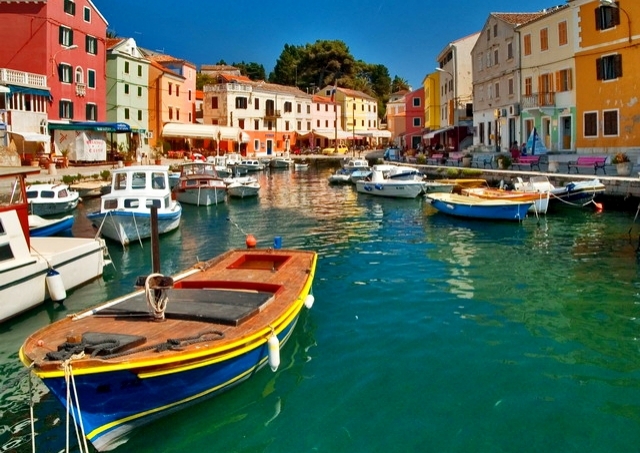 It’s the principal seaport, located in the Kvarner Bay. 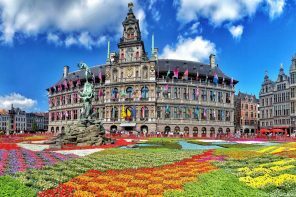 The roman, gothic, renesanse and baroque architecture will leave you breathless as well as the rich nightlife, especially during the summer. 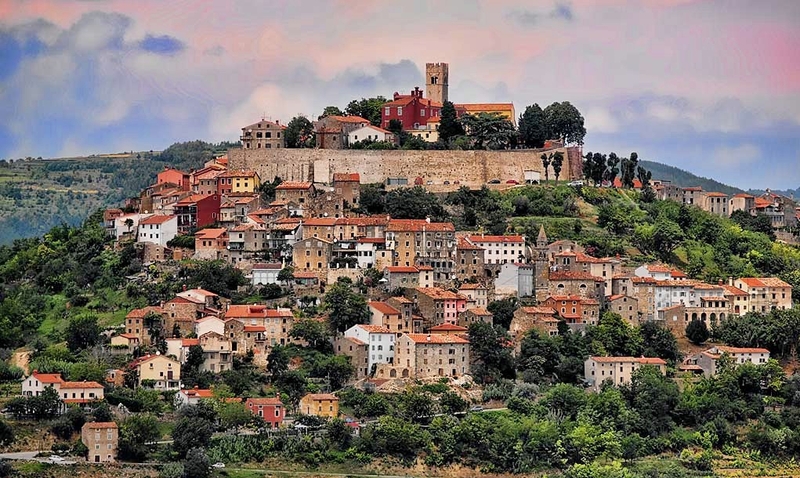 Head west from Rijeka into the countryside of Istria (the largest peninsula in the Adriatic Sea), and discover Motovun – a small medieval town situated 270 m above sea level with houses scattered all over the hill. 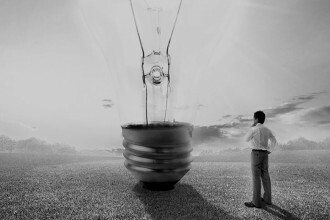 Try to be there for the Motovun Film festival (late July – early August). When in Istria, Rovinj is something you shouldn’t miss. This enchanting little town will make you fall in love with its narrow streets, romantic balconies, colorful houses, little shops and cafes. Once you’re done falling in love – hit one of the beautiful beaches. A charming little town on the island of Lošinj – known not only as a wonderful tourist getaway, but also as an aromatherapy center. 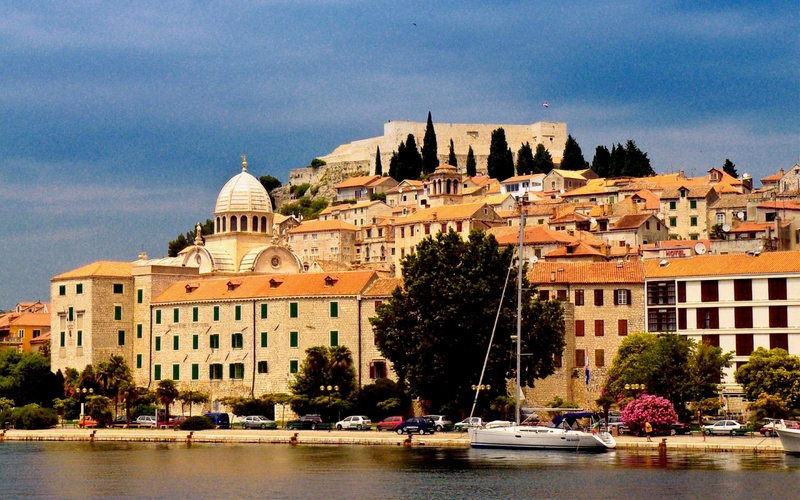 Heading south, we’re getting to the lovely island of Rab – an enchanting geo park. 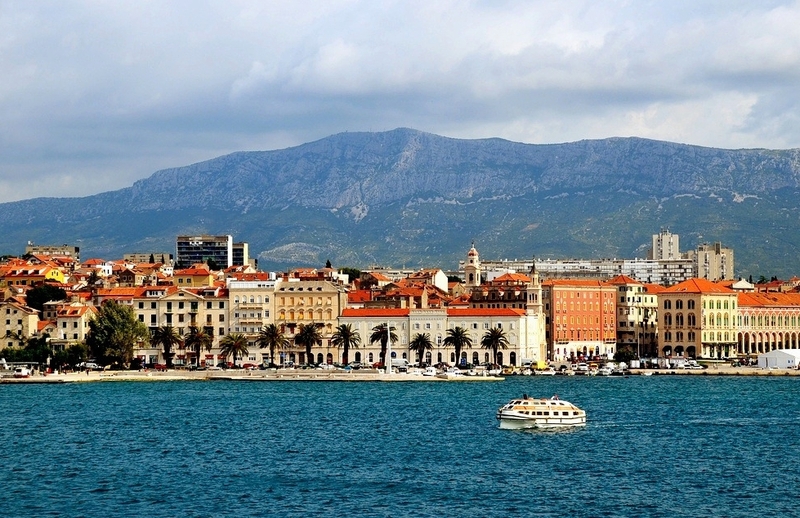 The charming town of Rab is connected to Rijeka by a catamaran boat (which makes it easy for you to make a day trip there and come back). Try to be there for Rapska Fiera – a three day event at the end of July when the town transforms into a medieval stage. 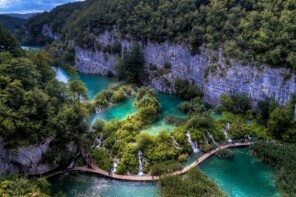 One of the oldest national parks in Southeast Europe, the largest national park in Croatia, and in my humble opinion one of the most magical places on Earth. 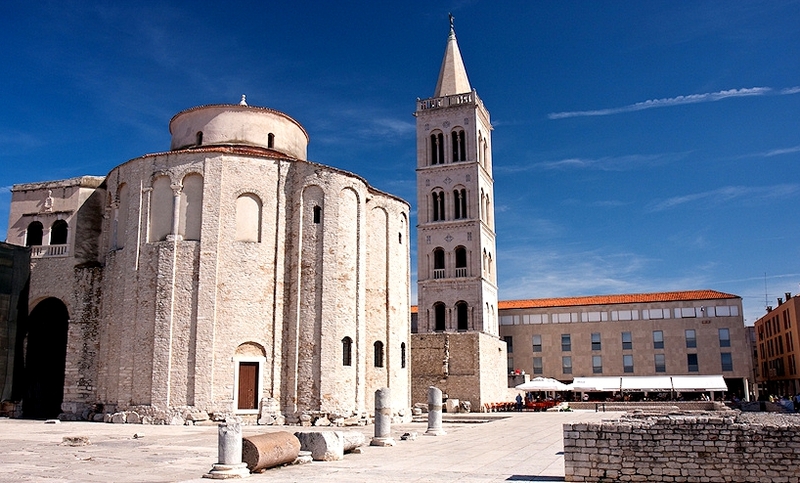 Now that you’ve reached the Dalmatian coast, you cannot miss the roman and venetian ruins in Zadar. 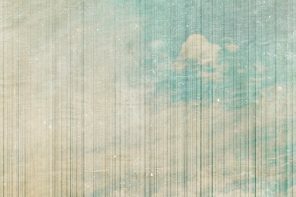 If you’re not a ruin freak like me (which you’re probably not – normal people usually aren’t) check out the Sun Salutation – a wide circle installation, set into the pavement and filled with multi-layered glass plates that collect the sun’s energy during the day. Together with the Sea Organ that produces sounds through the movement of the sea, it creates an amazing light-show. 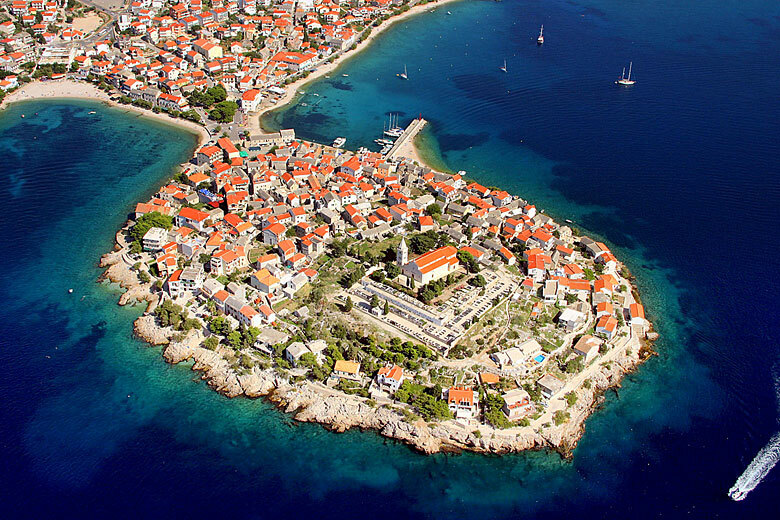 This historic town located in central Dalmatia will always have a little peace of my heart. Besides the Cathedral of St. James, which is on the UNESCO World Heritage list, a lovely coastline and romantic little streets – the four fortresses that surround the city are what impresses the most (especially if you get to see Derrick May spinning at one of them 😉 ). 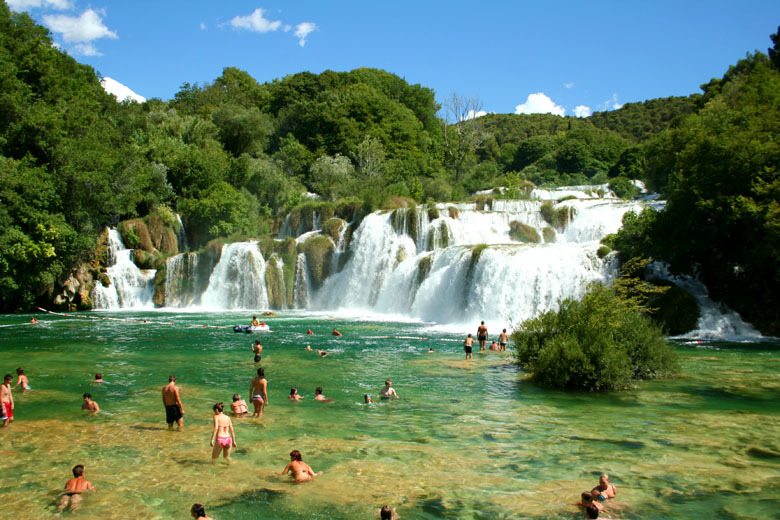 When in Šibenik, you simply have to take a ride to Krka national park and take a swim in this wonderful river under its stunning waterfalls. 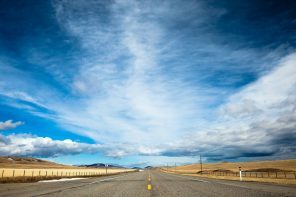 We’re still heading south guys! This amazing looking town, built on a hill, not only has great beaches and lovely architecture – it’s also quite famous for its vineyards. Anyone fancies a glass of wine? 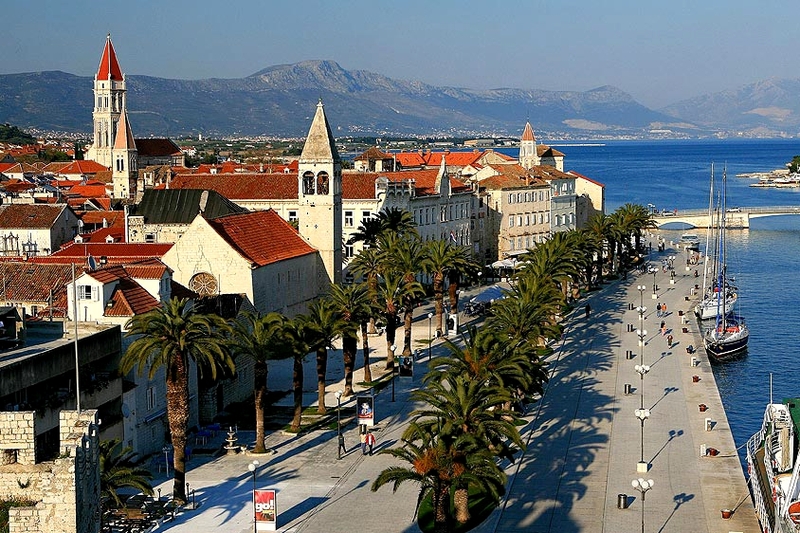 The city of Trogir is situated on a small island between the Croatian mainland and the island of Čiovo. 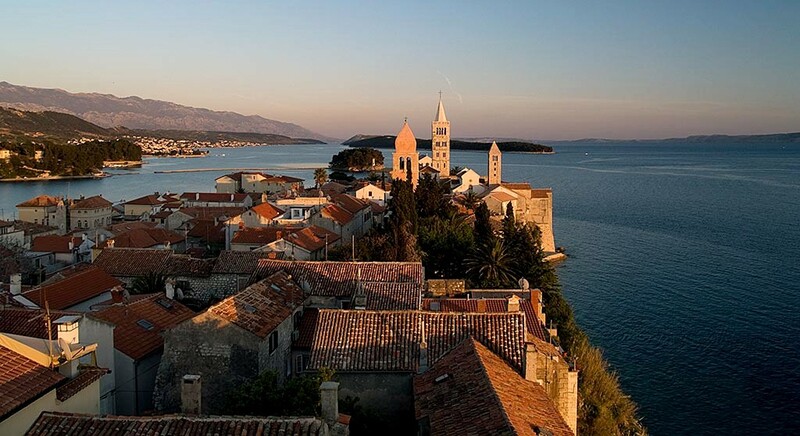 The historic center of Trogir has been included in the UNESCO list of World Heritage Sites. Spending at least a day in this charming place is definitely worth it. 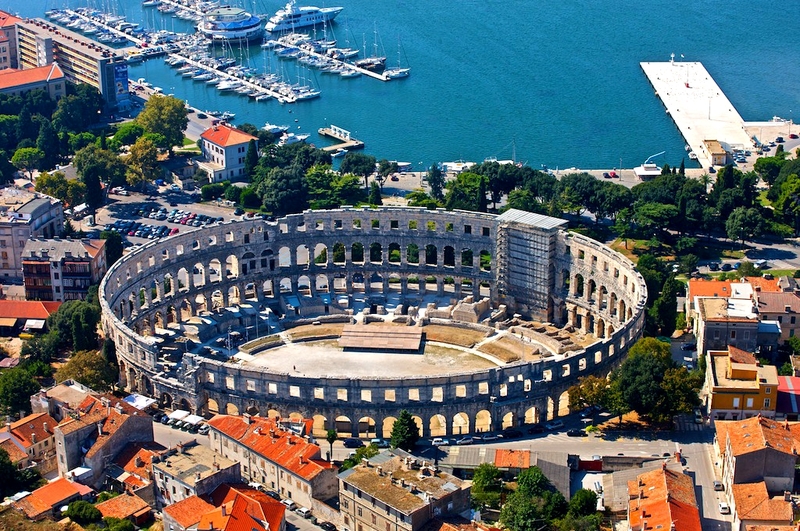 The second largest city in Croatia is known for its beaches and the fortress-like complex at its center – Diocletian’s Palace, built by the Roman emperor in the 4th century. Within its white stone walls are shops, bars, cathedrals, hotels and houses. After sightseeing or spending some time at the beach – hit the cafes. If you thought people in Zagreb take long coffee breaks – brace yourself, here you can sip coffee for hours overlooking stunning views, in one of the most relaxed Croatian cities. Let’s do some island hopping again, shall we? 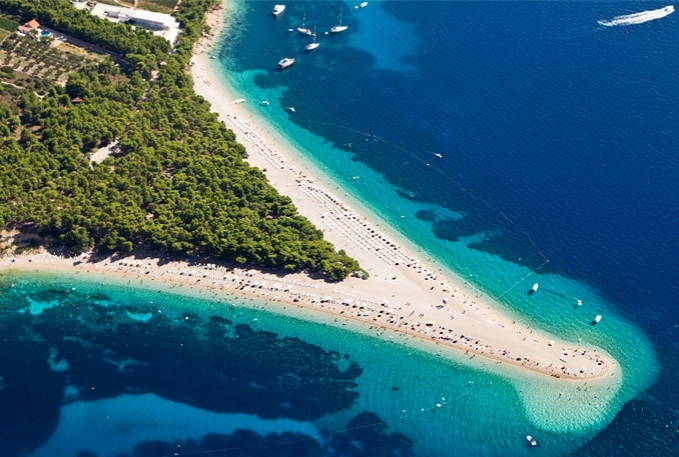 Even though the island of Brač has many many things to offer, I can certainly say that it is most famous for the Golden Horn or as we call it: Zlatni Rat – a land-form composed of a white pebble beach, surrounded by clear turquoise sea. 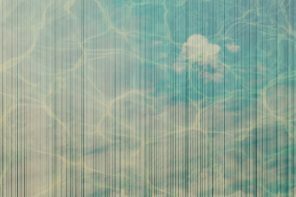 Who wouldn’t want to take a swim here? 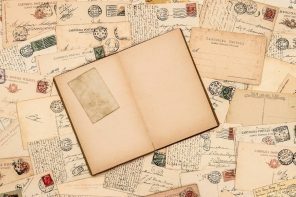 It might be difficult to pronounce (especially if you’re French :P), but once you get there – nothing seems difficult anymore. 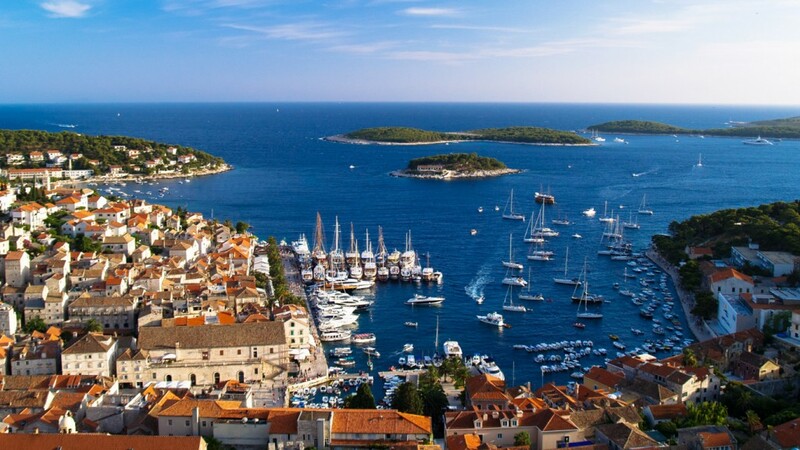 Hvar’s historic marble streets and architecture, stunning beaches, great after-beach parties and an insane nightlife is why this place draws around 20 000 people a day during peak season. 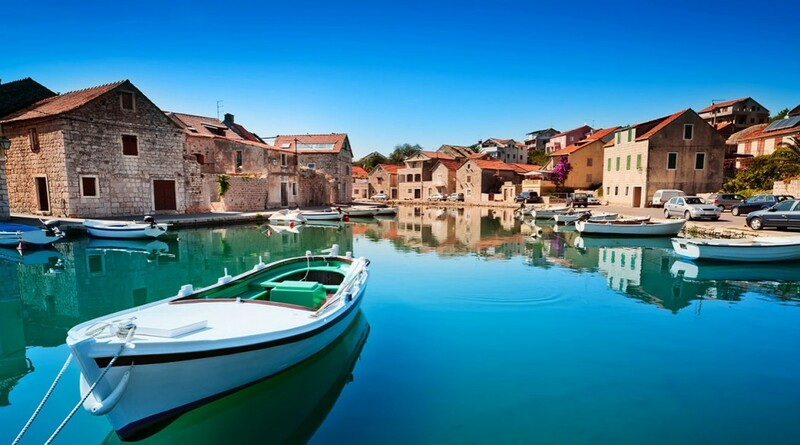 While you’re there – make sure to visit Pakleni Otoci – islands with crystal clear water, deserted lagoons and hidden beaches. Vineyards, small villages, amazing scenery and a glorious old town is definitely something worth exploring. The best thing about the island is the fact that tradition is still very important here – so you’ll get to see old religious ceremonies, folk music and dances being preformed in the historic streets. 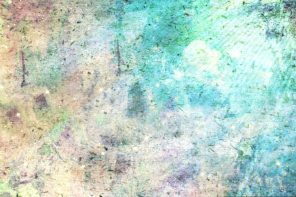 Back to the mainland – or should I say back to King’s Landing? 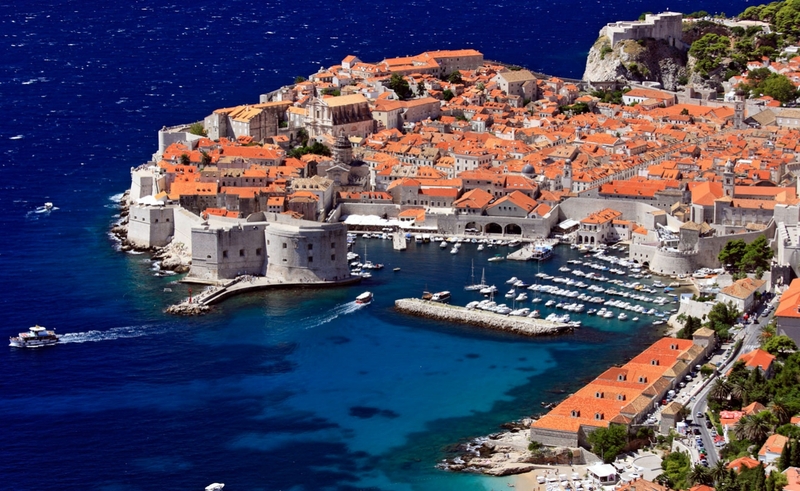 Last, but definitely not the least – astonishing Dubrovnik. So astonishing that it’s even good enough for Cersei Lannister! 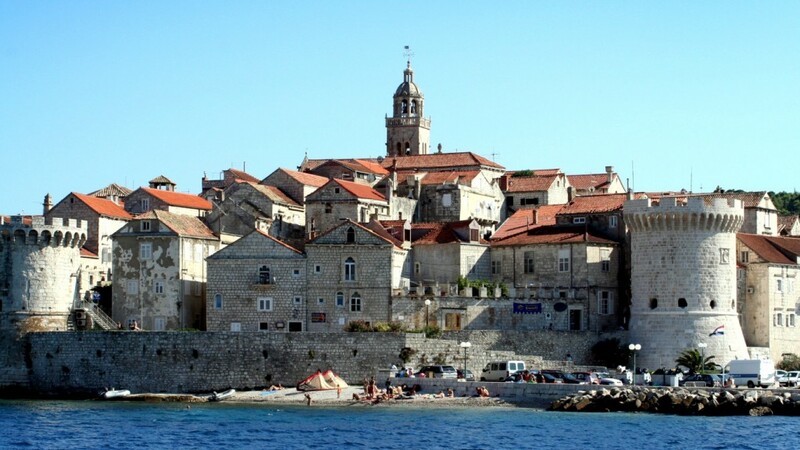 It’s known for its impressive Old Town, surrounded by massive stone walls from the 16th century. Take a tour of the city walls, a walk in the Stradun (the principal street) and for the most breathtaking view – climb the Srđ mountain behind the walled city and feast your eyes out. 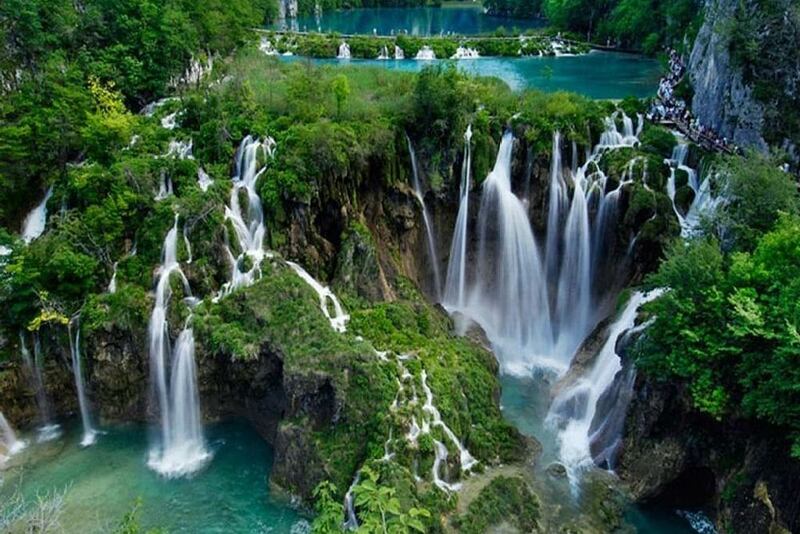 And to be clear – there’s much much more to see in this tiny peace of heaven called Croatia. 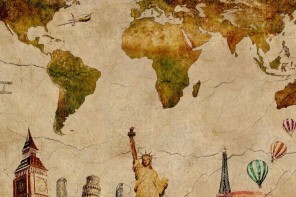 After all – it is a country of 1244 islands bathing in one of the clearest seas; a country of numerous national and nature parks; a country with an extremely rich history, culture and tradition; and a country you’ll think of as grand and not so much as tiny once you give yourself a chance to explore it.